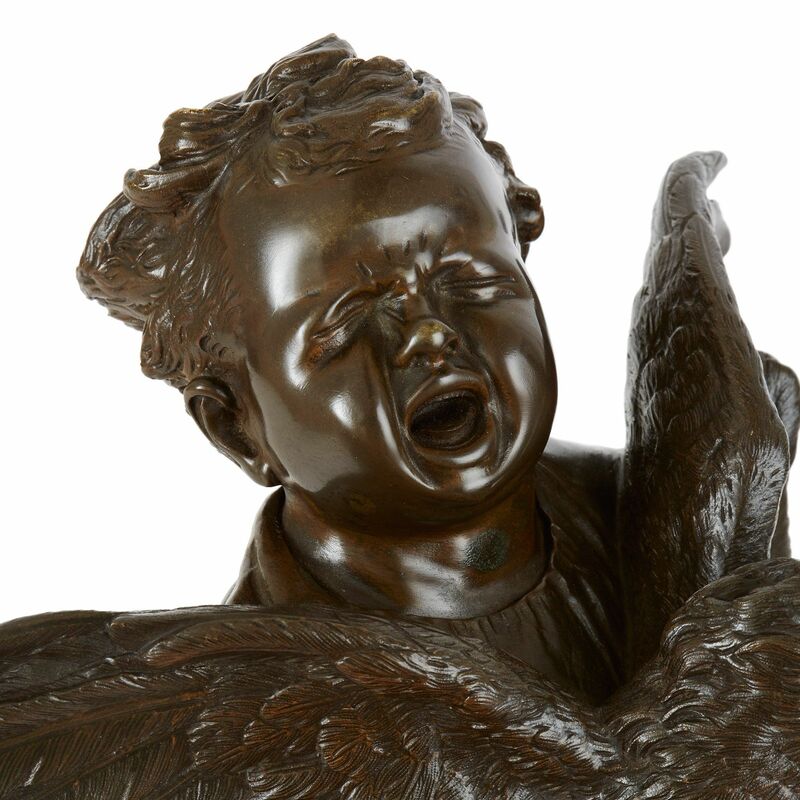 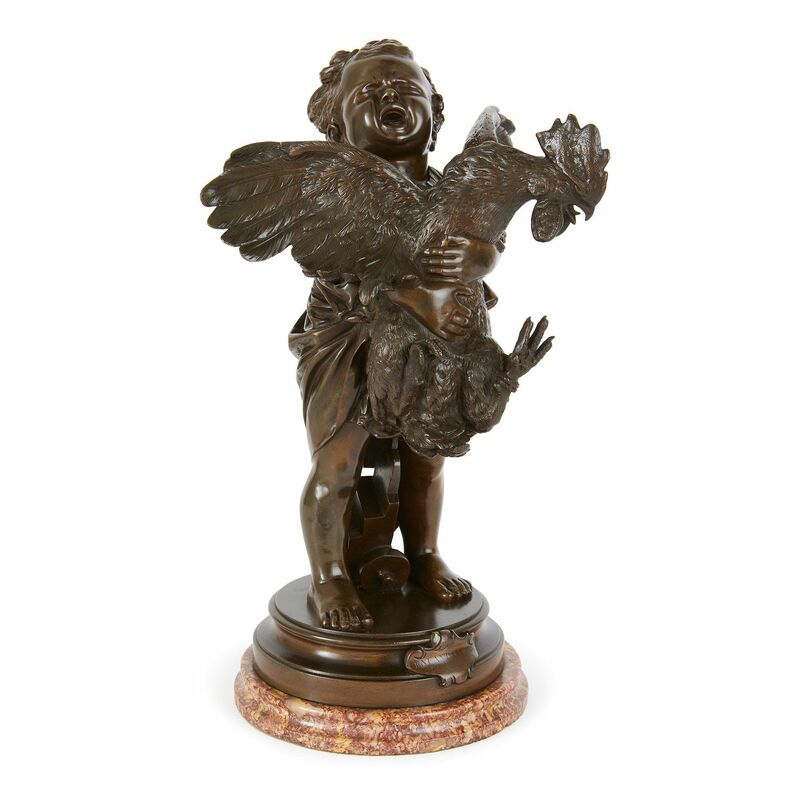 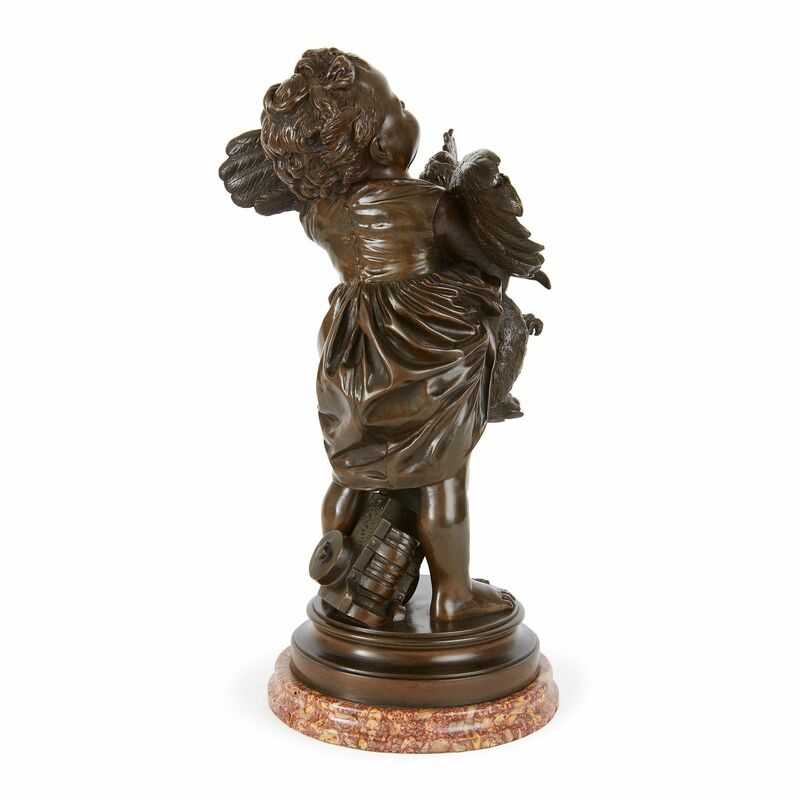 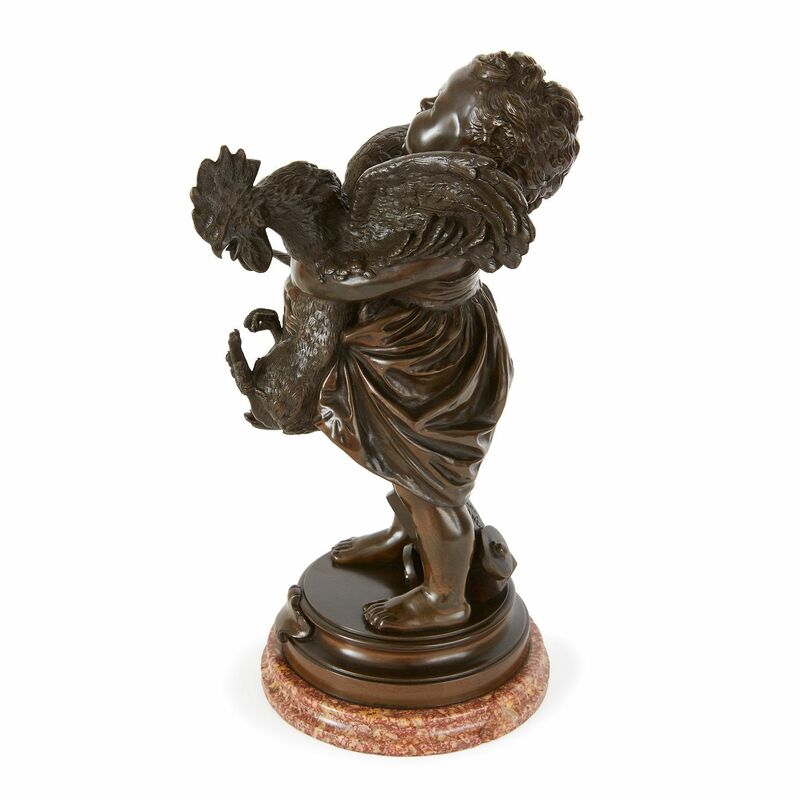 This expressive antique sculpture is notable for its impressive naturalistic depiction of the child's upset, as he clutches at the struggling rooster. 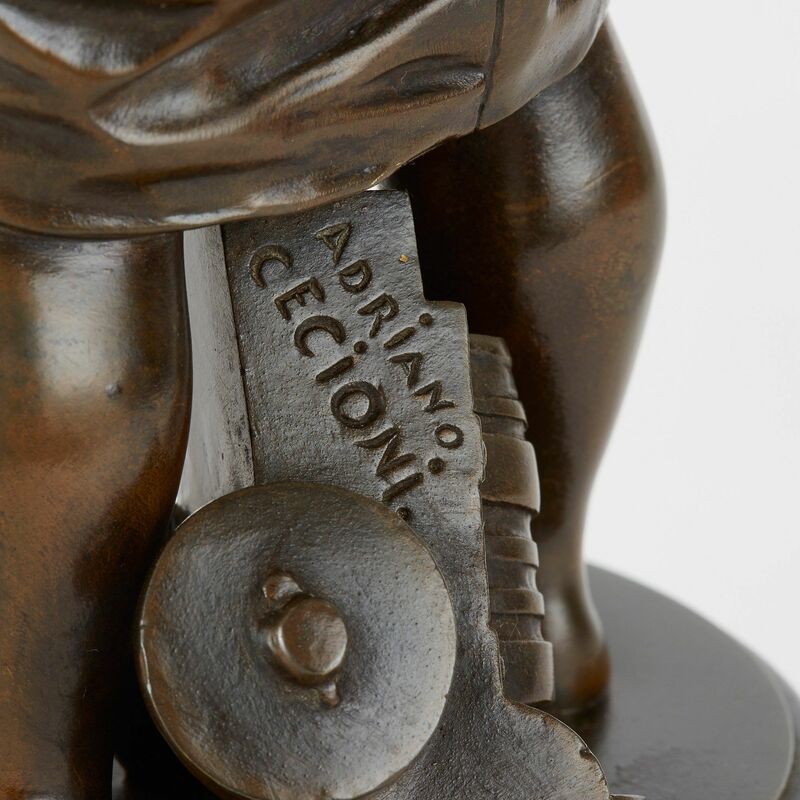 The model featuring a toy cannon at the child's feet, all set on a circular marble base. 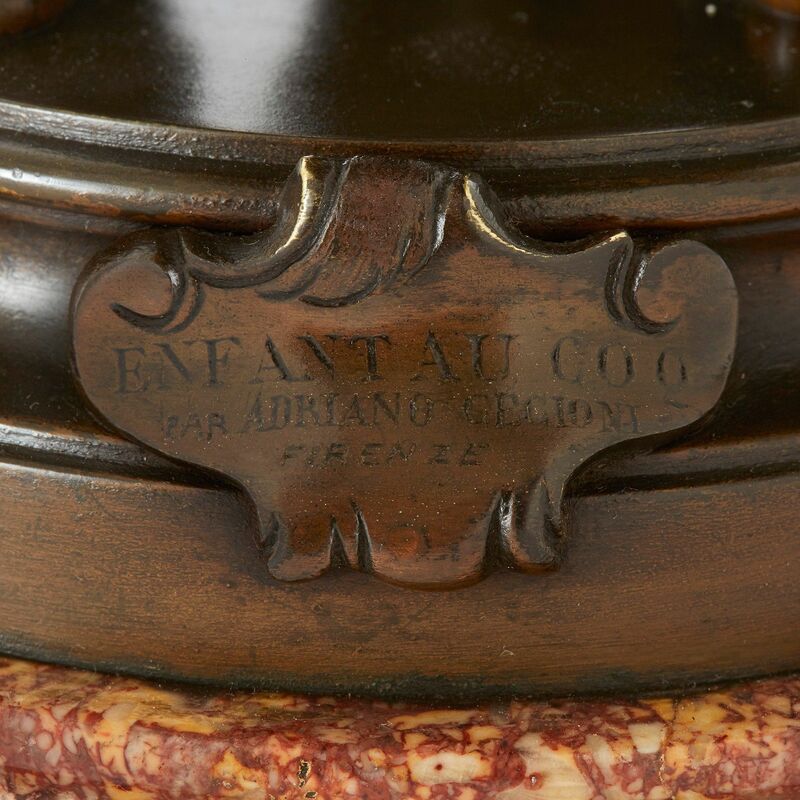 The cannon signed 'Adriano Cecioni', with cartouche to the base inscribed 'ENFANT AU COQ, PAR ADRIANO CECIONI, FIRENZE'.